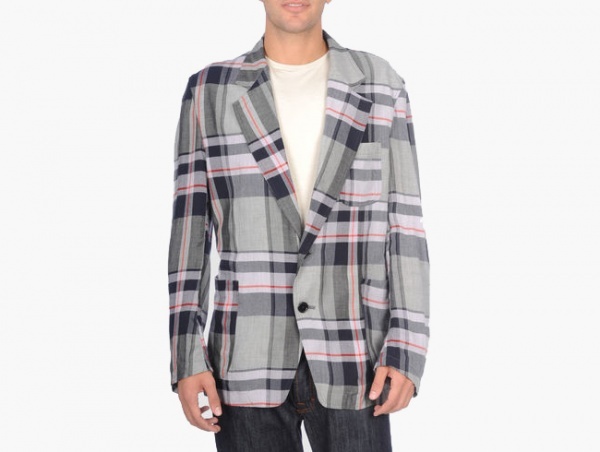 Y’s for Men Yohji Yamamoto adds some color and flair to your summer with this lightweight plaid blazer. An eccentric bit of tailoring with intentionally mismatched plaid cloth pattern, perfect for the young man who likes that summery madras look, but prefers a more modern iteration. Available online now. This entry was posted in Blazers, Tops and tagged Men Yohji Yamamoto, Yohji Yamamoto. Bookmark the permalink.